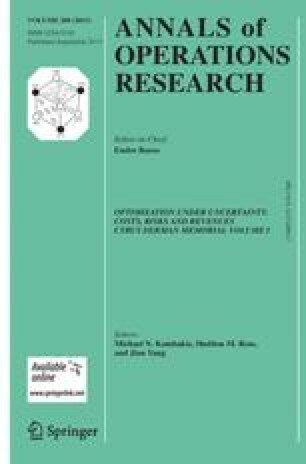 This paper integrates and extends the theory of the decomposition of multiattribute expected-utility functions based on “utility independence”. In a preliminary section, the standard decision model of expected utility is briefly discussed, including the fact that the decision maker's preference forlotteries with two outcomes determines the utility function uniquely. The decomposition possibilities of a utility function are captured by the concept ofautonomous sets of attributes, an “affine separability” of some kind known as “generalized utility independence”.Overlapping autonomous sets lead to biaffine-associative, i.e.multiplicative oradditive decompositions. The multiplicative representation shows that autonomy has strongerclosure properties than utility independence, for instance with respect to set-theoretic difference. Autonomy is also a concept with a wider scope since it applies to the decomposition of Boolean functions, games and a number of other topics in combinatorial optimization. This relationship to the well-known theory ofsubstitution decomposition in discrete mathematics also reveals a kind of “discrete core” behind the decomposition of utility functions. The entirety of autonomous sets can be represented by a compact data structure, the so-calledcomposition tree, which frequently corresponds to a natural hierarchy of attributes. Multiplicative/additive ormulti-affine functions correspond to the hierarchy steps. The known representation of multi-affine functions is shown to be given by aMoebius inversion formula. The entire approach has the advantage that it allows the application of more sophisticated representation methods on a detailed level, whereas it employs onlyfinite set theory andarithmetic on the main levels in the hierarchy.